Munawar Fuad Noeh (Moon) working as a Writer, a Lecturer and a Consultant in Social Program, was born in Cibarusah, Bekasi, West Java, INDONESIA, on May 16 1970. He is currently registered as a student in the doctorate program ( registration number AHA060032 ) in literature and social studies at University Malaya, Malaysia. 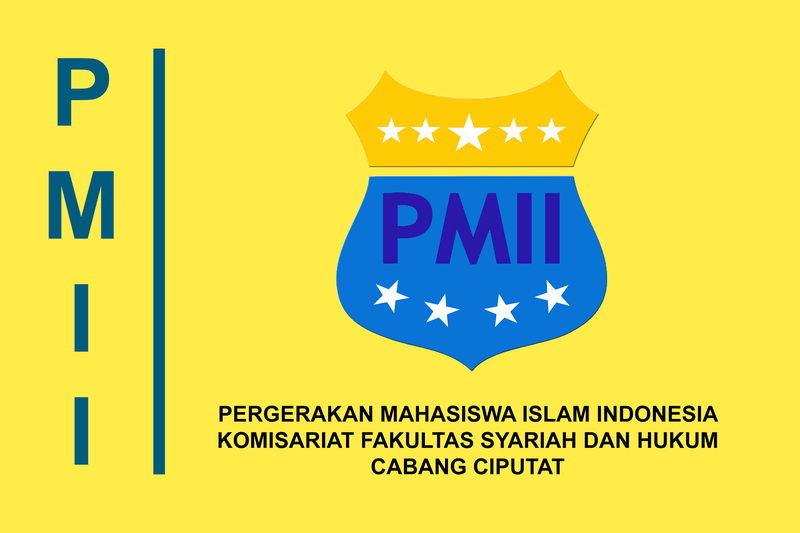 Previously, MF completed his graduate program at IAIN Jakarta ( 1998 ) in Islamic studies and State Governance. He currently works as a Public Relation Consultant and Coordinator of Lecturers at STIE Perbanas Jakarta ( 1996-present ); and formerly worked as a Lecturer at Universitas Islam 45 Bekasi ( 1995-1997 ). He currently works as the Director of GLOBAL PR, a PR company he established together with some PR experts ( 2002-present ). Global PR focuses on professional work and consulting services in the field of personal PR, Media PR, Political PR, Community Programs, Image Building, Crisis Management and Management of Corporate Social Responsibility. He used to work as Special Staff to the Minister of Communication and Information, DR. H. Sofyan A Djalil ( 2005 ). During the presidential campaign in 2004, due to his competence and experience, MF was appointed by DR. H. Susilo B. Yudhoyono as Special Staff handling relation management and acquisition of Islamic and Inter-religion political aspiration nation-wide. His ability to interact with people of different disciplines is supported by his social-cultural-religious background in Pesantren environment, Islamic Leaders and prominent inter-religion Leaders, making him focus on consistently building strong communication. He is currently planning some strategic agenda in the framework of empowering pesantren and villages, and comprehensive development. In the year 2000, when SBY was the Minister of Mining & Energy, MF was appointed as Expert Team in Public Perception Empowerment to the Minister of Mining & Energy, mainly involved in society empowerment program, media relation and external relation of the Ministry of Mining & Energy and the relevant State-Owned Enterprises such as Pertamina, Aneka Tambang, PLN, PT. Timah, etc. By handling various PR cases for persons, government bodies, campuses and other companies, his expertise as a PR consultant grew well. His background as an activist and his profession as a consultant formed a synergy, enabling him to expand his network and strengthen his access towards government officials and representatives, parliament members, politicians, entrepreneurs, professionals in various field, mass media, the military, police departments, political parties, and foreign countries. In 2005, Moon elected as Vice President of The Asian Youth Council in Seoul, South Korea. Some of his organizational activities in national and international scale include: Secretary General of Dewan Pimpinan Pusat Komite Nasional Pemuda Indonesia (DPP KNPI) during 2005-2008, an organization with a national scale established in 1973, involved in uniting youth, student, and professional organizations, and having organizational network in every city/province in Indonesia. As the Secretary General, MOON determined strategic policies and appointment of youth leaders in cities/provinces in Indonesia. MOON established an independent institution, Institut Tunas Negarawan Indonesia (I-TNI), and worked as the Executive Director focusing on development of management and leadership system, and generation governance in research, studies, discussion, training, and systemic work related to public policy. ( 2006-present ). He was appointed Sekretary General of Pimpinan Pusat Gerakan Pemuda Ansor ( 2005-2010 ), a moderate Islamic youth organization affiliated to Nahdlatul Ulama (the largest and oldest Islamic Organization in Indonesia, having 45 million members, with the largest network, reaching even the villages all over the country). Previously, during 2000-2005, Fuad was the Chairman at Pimpinan Pusat Ansor, heading the International Relations and Media & Communication. At the moment, MOON is still the President of Global Common Society ( GCS ) International Indonesia Chapter ( 2003-2005 ), an NGO involved in consulting activities, and having partnership with social-economic institution at the UN located in South Korea. MOON used to be the Vice Secretary General of SAMYO (South East Asia Muslim Youth Organization) located in Singapore. Together with other inter-religion organizational leaders, united in Persaudaraan Anak Bangsa (PAB) i.e. Pemuda Muhammadiyah, Peradah, GAMKI, Gema Budhi, Gemaku, dan BKPRMI, MOON was appointed Program Director for Workshop and Training of “The New Generation of Religius Leaders” in many areas all over Indonesia. During his student years, MOON was elected Chairman of Presidium Mahasiswa Pascasarjana IAIN Jakarta ( 1996–1998 ) and Chairman of the Student Senate of the Faculty of Sharia – IAIN Jakarta ( 1992-1994 ). MOON has also been engaged in social activities, and since 1994 he has been the Director of Pesantren Alquran Ash-Shulaha in Bekasi, continuing his father’s leadership, Kiai R.E. Inayatillah, who has been involved in religious, educational, and social activities, and youth education. As a Peace Ambassador, MOON had the opportunities to attend various international forum held by international institutions. In the year 2008, MOON will attend some events as presenter and participant of inter-nation dialogue for people to people peace mission and diplomacy in New Zaeland, Turkey and Taiwan. MOON was appointed to deliver a speech and to conduct a dialogue with the community in the mission The New Asian African’s Strategic Partnership in India, Sri Lanka, and China ( 14-15 Novomber 2007 ). MOON led Indonesian youth delegates in Forum Dialog Pemuda Malaysia-Indonesia (Malindo) in Selangor, Malaysia ( January 6-9, 2008 ) and will lead Indonesian delegates and deliver his speech about youth and entrepreneurship in youth meeting forum (Asia Youth Council) in Beijing, China on November 1-5, 2008. MOON joined Vice President Jusuf Kalla’s official visit to South Africa (2005), and in Vice President Jusuf Kalla’s official visit, MF was appointed to lead the delegates of Pemuda NU and Pemuda Muhammadiyah, invited to Japan for cultural and friendship visit ( 2000 ). In 2002, after going through a very stringent selection, MOON was elected to join a program Asia Pacific – The New Generation Seminar in the United States and went to Honolulu, New York and Washington DC, invited by East West Center in Hawaii ( 2002 ). During the event, MOON presented his thoughts about Developing Moderate Religious Tradition against Terrorism for an audience of -Asia Pacific youth leaders and represented the participants in VOA (Voice of America) interactive program broadcasted in the United States and in Indonesia (INDOSIAR). MOON was elected as a participant of Forum Indonesia-Australia and was invited by the Australian government for an official visit to Australia ( 2004 ), and joined various forum with university students, parliament members, government officials, politicians and Moslem activists and inter-religion leaders in Melbourne, Canberra and Sydney. Previously, he was specially invited for a dialogue with the Prime Minister of Australia, concerning the agenda and the future of moderate Moslem community. As the president of Global Common Society ( GCS ) Indonesia-Chapter, MOON was invited to various International forum and delivered his speech in South Korea ( 2003 ) and in Philippine ( 2004 ). On another occasion, FM was elected as a delegate, representing Indonesian youth in Forum Konvensi Pemuda Dunia in Bangkok Thailand ( 2004 ). As the Chairman of GP Ansor in International Relations, MOON has had the opportunities for interaction, communication, cooperation and dialogues with foreign government officials, and non-government inter-organization cooperation, in the East and West. Invited by the government of Singapore, MOON led Ansor delegates for a friendship visit to government officials, professionals, and NGOs in Singapore ( 2002 ). Having the opportunities to be a speaker and a participant of various strategic forums with the government, companies, and military in national and international scope, he is able to understand Indonesian situation and condition more comprehensively. MOON has been producing written work in the form of books widely published and articles in media; some of his pieces include: Indonesia is A Truly The World ( I_TNI, 2008 ) “Menegakkan Daulat dan Martabat Bangsa ( Selangor, 2008 ); “Indonesia Today : The Characteristic Indonesian Muslim ( India, 2007 ); “Mengelola Pemuda Pelopor Perdamaian” ( Institut Tunas Indonesia_ITI_April, 2007 ); “Tentara Berkarakter dan Profesional : Jelang Pelantikan Pangkostrad ( Critical Note from Munawar Fuad, 2006 ); “Kiai Di Republik Maling ( Writer, Republika, 2005 ) Buku “Ziarah Nurani SBY “ ( Writer, May 2005 ), “Kebangsaan-Keislaman SBY” ( Wtriter, November 2004 ); SBY dan ISLAM ( Writer, September 2004 ); Bersaksi di Tengah Badai : Jenderal Wiranto ( Writer and contributor, 2004 ); Dua Yang Satu : NU-Muhammadiyah ( Article contributor, 2003 ); Susilo Bambang Yudhoyono : Mengatasi Krisis Menyelamatkan Reformasi ( Editor, September 1999 ); Menghidupkan Ruh Pemikiran KH. Ahmad Siddiq ( Writer & Editor—2000 ); Jejak Setapak Saifullah Yusuf ( Writer, 2000 ); Menembus Batas : Lintas Agama, Budaya dan Bangsa ( Writer, 1999 ); “Masalah Korupsi di Indonesia : Respons Cendekiawan Muslim” ( Writer, Researcher, Thesis, 1998 ); Islam di Abad 21 ( Editor, 1998 ); Islam dan Gerakan Moral Anti Korupsi (Writer, 1997); Substansialisasi Hukum Islam dalam Hukum Pertanahan di Indonesia (Thesis, 1994). As a prolific writer, he expresses his thoughts in articles published by national mass media such as Kompas, Gatra, Media Indonesia, Republika, Tempo, Suara Pembaruan, Harian Terbit, Duta Masyarakat and has had the opportunities to present his articles in various local, national and international forum/dialogue/seminar.